Which ship name do toi prefer? le choix des fans: 8-10; l’amour them! 8- 10; l’ amour them! 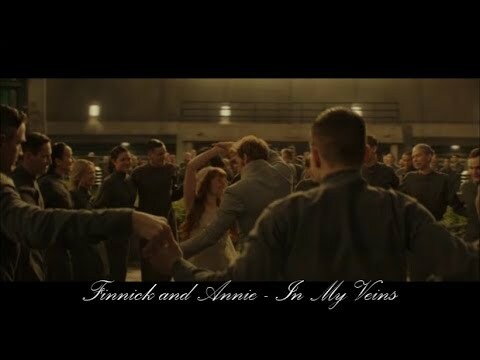 Do toi think Finnick and Annie knew each other before her Reaping? I've heard rumours that they might change things for the final film and have Finnick survive. What would toi think of that? i know this has got nothing to do with Finnick and Annie but does anyone know how to put in a profil pic that would be REALLY REALLY helpful if toi could thanks!! Where toi Devastated when Finnick died? Did toi ever wounder what happened to Annie after mockingjay? Well Iwant to hear what toi think happened.Did she go insane?Or what?Please Answer!!! Finnick could put a face to Annie's name when she was reaped, but he'd never spoken to her before that jour for plus than passing hellos. Did Annie know about her pregnancy before Finnick's death?